I started KNITS PLEASE with the dream of making a life out of knitting. My first vision was of some kind of knitting cafe, where people could gather with good drink, good yarn and a lot of space for creativity. Then I wanted to share my love of knitting with others, and encourage them to take up the hobby, too, by creating tutorials and knitting patterns of my own design. And after that I wanted to curate my own product line and spend my days knitting away and shipping my handmade goodies to people all over the world. All that, and I’m only six months in! I feel like I’ve finally found my passion in life (at this stage at least), but in doing so, I’ve experienced a lot of pressure to make a success of it. 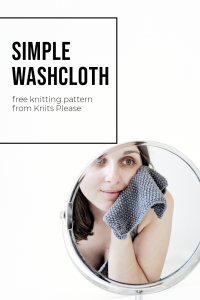 I know that I want to make knitting my business, but having come to that realisation I felt immediately that I had to be ‘in business’, and being in business is hard. From the off, I thought that I needed to make money, and I’m a little sad to say that I allowed that notion to affect and sway my decision-making. It’s been difficult to find the balance between what could potentially be a profitable product, and what I want KNITS PLEASE to stand for. So I’m making a change. I’m going to take a step back and slow down, to go back to knitting for the love of it. I’m going to stop designing products for the time being, and focus on knits for myself and those near and dear to me. I want to rekindle my passion and excitement, and just knit for me. The pressure’s off. If I’m stressed about it, I’m not doing it right and I need to adjust my course. If something’s going super slowly, who cares? Enjoy the process. If it goes completely wrong? Rip it up and start again. If life just gets in the way? That’s alright, the time will come back when it’s ready. In re-evaluating my relationship with knitting, I hope to have more to share. I plan to keep you updated on my WIPs, finished projects and things that inspire me and hope that, in doing so, we can get to know each other a little better. 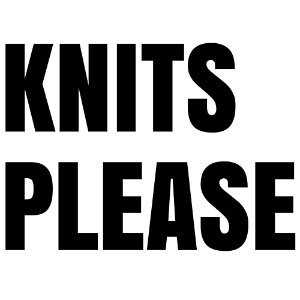 If you want to join my knitting gang, you can sign up to my newsletter here. I can’t wait to meet you!